Stephen Williams LLB (Hons)Stephen, one of the partners of Williams & Williams graduated with honours from the University of the West Indies, Cave Hill in 1995. Subsequently, he attended the Hugh Wood Law School. 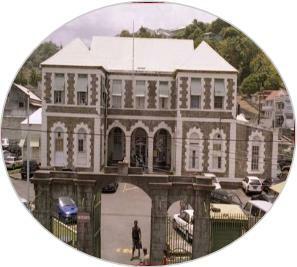 He was called to the Bar of SVG in September, 1997. He has extensive expertise in offshore and trademarks which has generated a large international clientele for the company. In addition, Stephen has experience in both criminal and civil litigation and has regularly appeared in the Court of Appeal. Civil litigation, Maritime Law, Shipping Law, International Matters, Trademark Registration, Conveyancing, Real Estate and Corporate Law. He has appeared on radio and television on numerous occasions providing his views on diverse complex issues.